On December 12th a Global Makeathon for kids from 7 years will be hosted at BTH to celebrate the release of the new Star Wars movie. 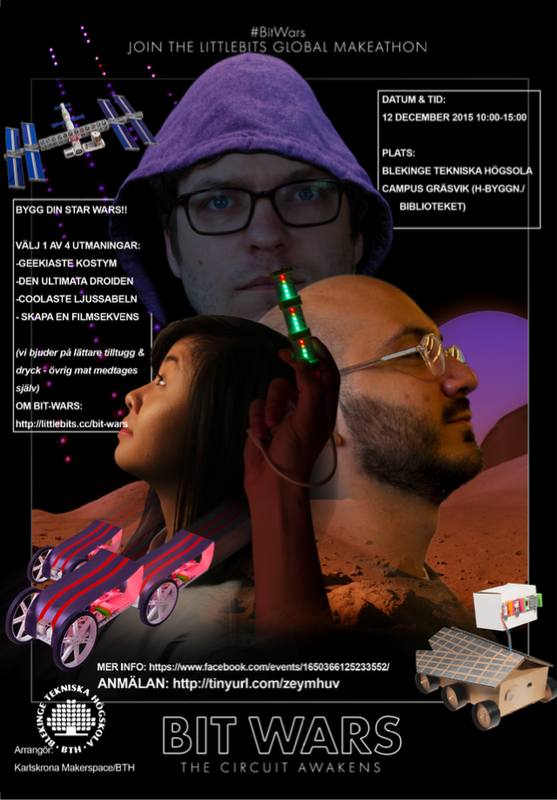 Hosted by PDRL and Karlskrona Makerspace, as global chapter partners of Littlebits, we will let you unleash your creativity using an abundance of prototyping tools to invent a new gadget for your favorite Star Wars character. Then film a video that either recreates or remixes your favorite scene, starring YOU and your new creation. Participants will have the chance to win an all expenses paid trip (up to $3K) to the Orlando Disney World Star Wars Park and tons of other prizes.